Your breath will be taken away by the magic that separates you from everyday life on dry land. 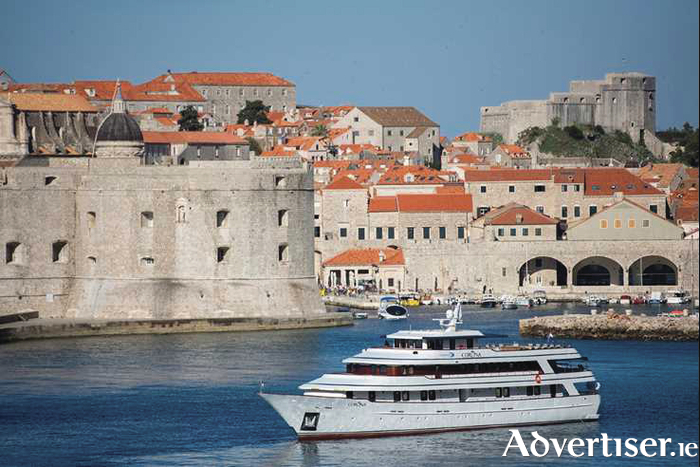 You will glide past imposing medieval castles, lush riverbank vineyards, and remarkable ancient wonders on your European river cruise. Every gentle bend of the river reveals another fascinating sight as your luxurious river cruise ship winds its way through scenic landscapes, delivering you right to some of Europe's most celebrated cities. Maybe you can visit the same cities and towns on a coach tour but consider this — you only have to unpack the once. You are not packing and unpacking every second day. You get to see the cities and towns that you want without the hassle of checking in and out of hotels, and there is no traffic to contend with. The food on river cruise ships in Europe is generally very good. It is European-influenced cuisine. Because river ships dock right in the centre of town, cruising the inland waterways offers far easier entry to a region’s heartland — whether small medieval villages or grand historic capitals, some river cruise ships in Europe carry bikes on board for people to ride into town or from one port to the next. River cruising consists of three main activities: dining, cruising and touring, so if this is on your wish list, call Corrib Travel on 091 564713.